Our room was much cleaner than most $100 a night hotels we've recently stayed. Thank you to housekeeping for doing such a great job. Staff was friendly. Quiet spot in late March. Would recommend to friends and/or family. Stay was fine. For the price it was what I expected. It was clean and quiet! The beds were comfortable! My two most important focal points when renting a room and they exceeded both! Continental breakfast was very nice. Clean, friendly staff. Very first Fiesta Mexicana restaurant right next door!! We are traveling to Virginia for Christmas and stopped here in Colorado to get some sleep and right away we noticed the hotel charged m our account 4 Times!!! !😩😡😩 We are on a Super Tight budget already and this HURTS us!!! They hotel staff did Nothing but make it harder and say it “should” be credited in 5-7 Days!!! So now we don’t know how we’re going to make it! I have stayed in hotels across the country and NEVER had such an issue!!! Everything was great. Very easy to find and get in and out of. Very clean. 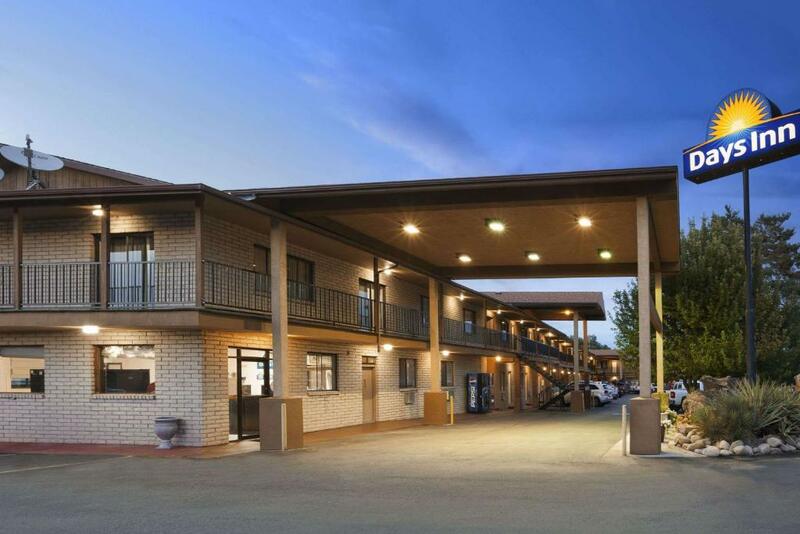 Days Inn by Wyndham Cortez This rating is a reflection of how the property compares to the industry standard when it comes to price, facilities and services available. It's based on a self-evaluation by the property. Use this rating to help choose your stay! 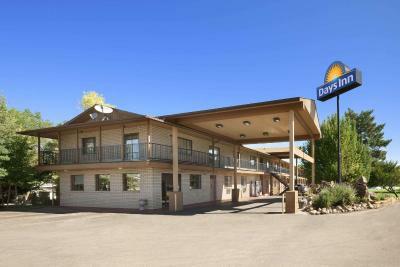 Featuring a seasonal outdoor pool and a hot tub, Days Inn Cortez is 29 mi from Mesa Verde National Park. 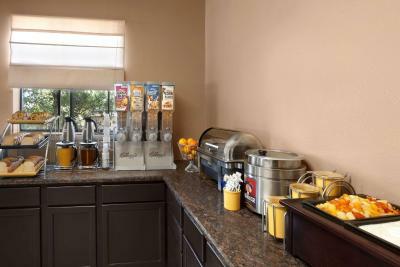 Free WiFi is provided and a free continental breakfast is served each morning. All rooms at the property have a flat-screen cable TV and a private bathroom. There is also a microwave, a refrigerator and a coffee maker. Select rooms have a spa bath. 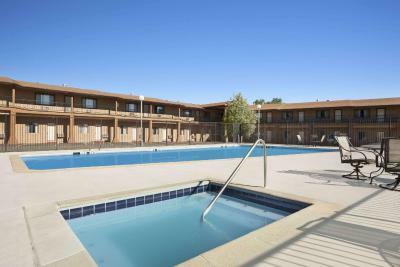 The accommodations offers a business center for guest use. Staff are always available to help at the reception. Canyons of the Ancients National Monument is 28 mi from the property. 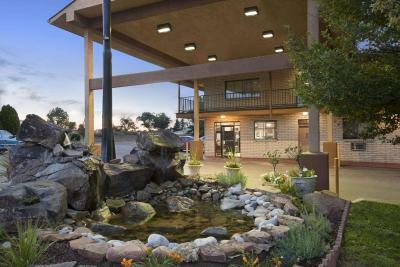 The nearest airport is Durango-La Plata County Airport, 46 mi from the property. 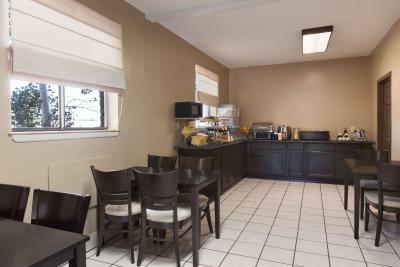 When would you like to stay at Days Inn by Wyndham Cortez? This room features free WiFi, a flat-screen cable TV and a private bathroom. There is also a microwave, a refrigerator and a coffee maker. Please note that this room is located on the 2nd floor. This room features free WiFi, a flat-screen cable TV and a fireplace, as well as a spa bath. There is also a microwave, a refrigerator and a coffee maker. House Rules Days Inn by Wyndham Cortez takes special requests – add in the next step! 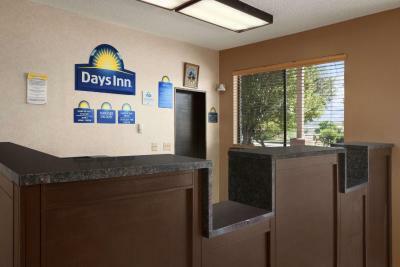 Days Inn by Wyndham Cortez accepts these cards and reserves the right to temporarily hold an amount prior to arrival. There were some long brown hairs in the bathroom, I'm a blonde so it wasn't completely clean. Good location and good value. You could hear the people in the room next to just talking, no privacy, and the breakfast was just cereal and bread. The room was clean and bed ok. The room was very clean and the grounds were attractive. The breakfast had a nice variety and the staff were friendly. The stairs were grated so our dog was scared to go up and down them and there was no elevator. The beds and pillows were very comfortable! The room was dog friendly. Conveniently located near Mesa Verde. Limited choice of restaurants within walking distance. Creepy people hanging around in the parking lot. Thin walls. But for one night it end up being fine. Little on the high side for price considering location and time of year. My night at this property was the worst I have ever experienced at a Motel/ Hotel. The "thin" walls allowed me to hear the TV next door like I was watching it with the neighbor. And, the neighbor kept the TV on until about 5 in the morning. I got very little sleep and was very upset. When I tried to call the desk to maybe change rooms at 2 a.m....the phone did not work...and it was snowing outside...and I was a long ways from the office....I will never stay there again.